It's Halloween time again! I'm a huge fan of this time of year, so to celebrate I've got a few new patterns for you guys! First off, let me plug my patterns that I have for sale new as of today! 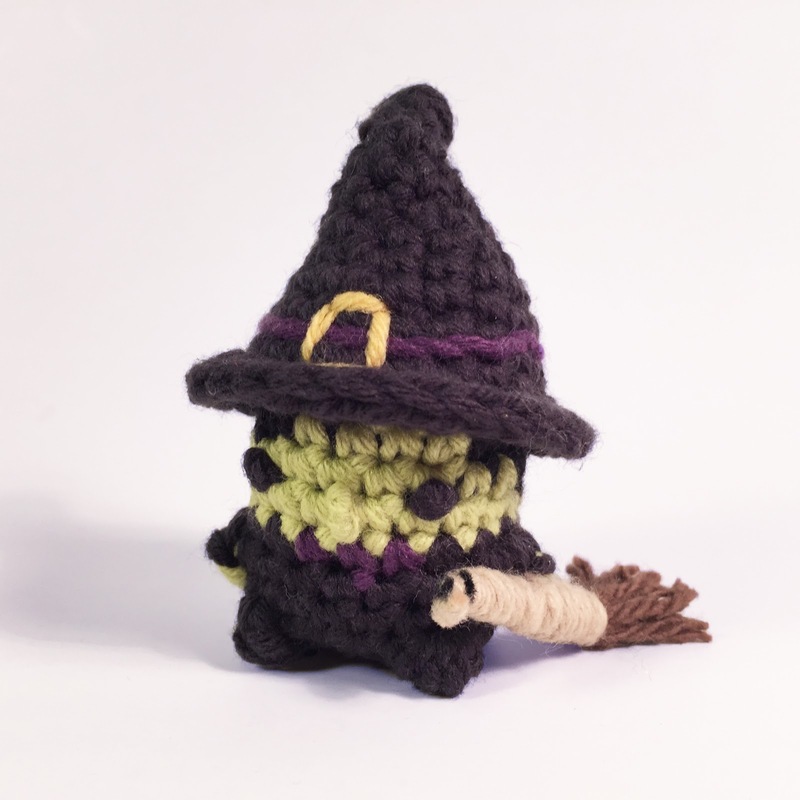 Check out these two new patterns, Gandalf and a Witch! 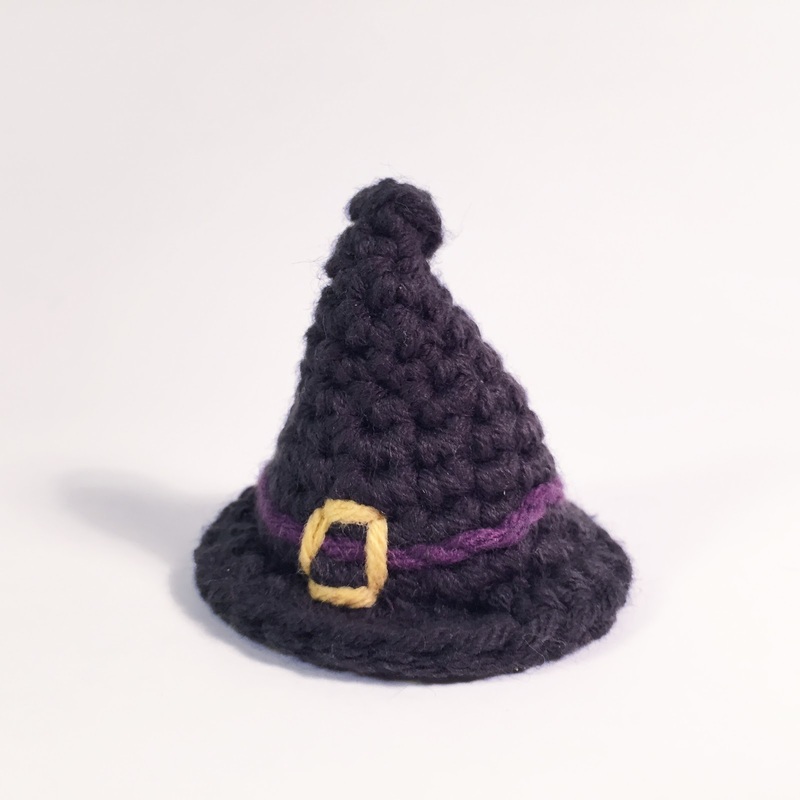 So lets get to the free pattern of today, how to make a witches hat! 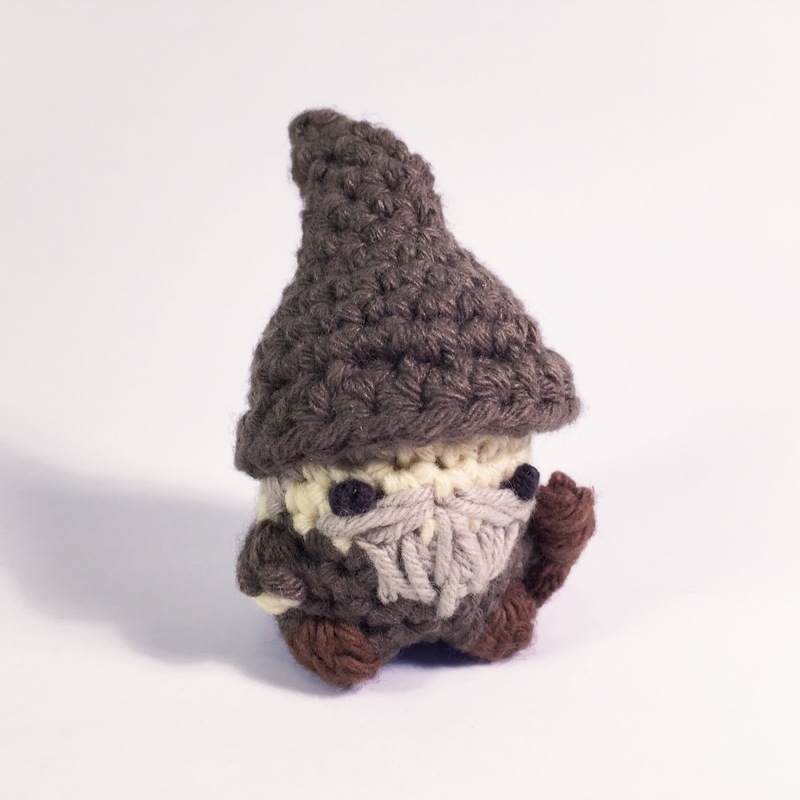 I use this pattern for the witch, Gandalf, and even for Link! Sc one in both loops of the first sc made in this Rnd, Sl.st in next st, cut long to sew onto head and pull through. Using purple, sew a strand around the outside, then use yellow to sew on a buckle in the middle.